It’s been an exciting fall season at Amusement Masters as we expand into a new market with Gigi’s Gourmet Cotton Candy! A sugary treat that’s perfect for all ages – we just had to add our very own Amusement Masters’ gourmet twist to it. 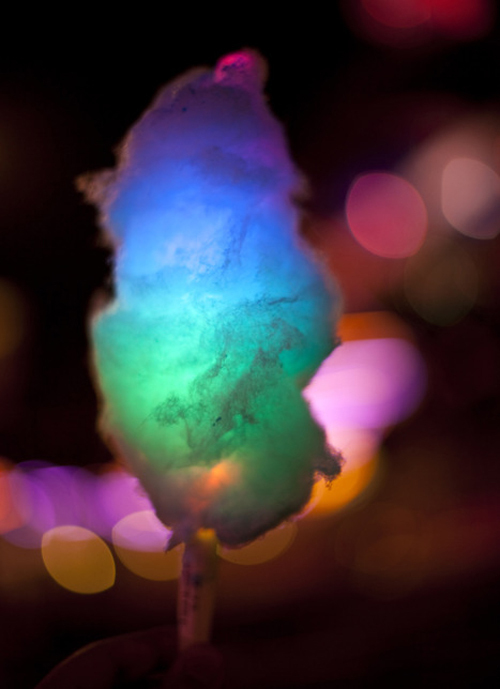 Our cotton candy is made in a wide variety of flavors (some very unique) and each made from air-spun organic evaporated cane juice, using only 100% all-natural flavors and colors. Fat free, Gluten free and pesticide free – the cane juice we use is also produced in a nut-free and dairy-free facility. Cotton candy stations can be incorporated into all types of events, from holiday parties and weddings to bar and bat mitzvah celebrations. Whatever your celebration we have a cotton candy station for you! But before we gush anymore about our sweet treats let us delve into the intriguing history of cotton candy and find out how this treat became so popular. 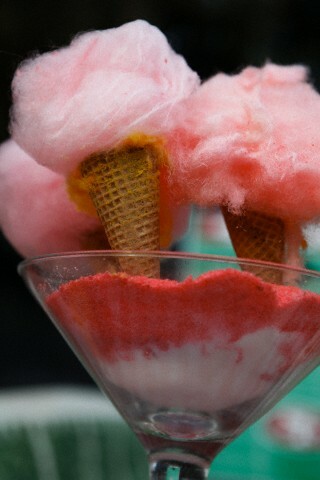 Once called ‘Spun Sugar,’ cotton candy dates as far back as the 15th century for the social elite in Italy. The creation process back then was long and the ‘sculptor’ would literally melt the sugar and then drizzle it over an object, spending hours creating spectacular table centerpieces paired with fruits. 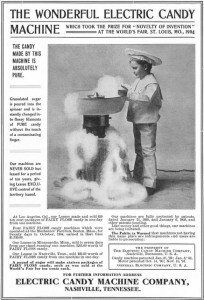 In 1897 a dentist named William Morrison and a confectioner John C. Wharton created the first electric-spun cotton candy machine, coining the name “Fairy Floss” (in Australia they still call cotton candy that!) William and John introduced it to a large audience at the 1904 World’s Fair, selling it for just .25 cents. 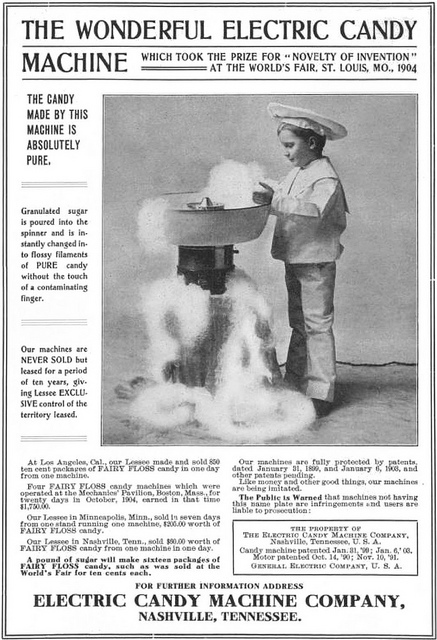 In 1921, a dentist named Joseph Lascaux invented a similar confection machine but instead of calling it “Fairy Floss” he referred to it as Cotton Candy, which was an instant hit. Slowly the old name faded away and the rest is history! One thing that client’s particularly love about Gigi’s Gourmet Cotton Candy is the variety of delicious flavors that Amusement Masters exclusively offers. Mouth-watering flavors like: Raspberry Rush, Fabulous French Toast, Cookie Dough Delight, Mango Madness and over 20 more flavors! These flavors make for endless opportunities to customize a candy station that’s unique to your event. Every station is manned by a skilled Amusement Masters candy technician – this allows clients and their guests to enjoy fresh spun and individual servings. Our manned cotton candy action stations can be placed indoors or outdoors for an event with the magic done right in front of your guests, creating a sweet interactive experience! For clients that want to offer guests a cotton candy take-away we also offer pre-packaged that is ‘grab n’ go.’ These pre-packaged treats are perfect party favors to handout to guest because they are so easy to store or put into a gift bag. 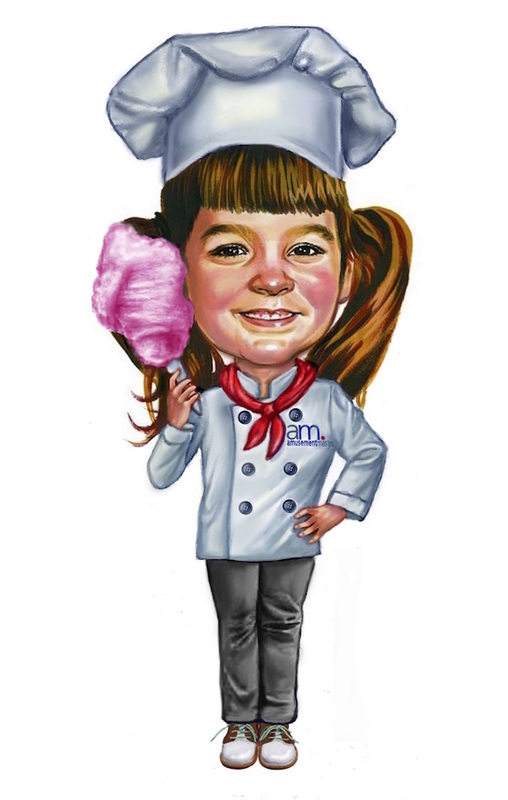 To book a Gigi’s Gourmet Cotton Candy station for your event just connect with us on our website or email: ksmink@amusementmasters.com.